Long waits on the phone, confusing bills and repeated price rises are among the challenges facing energy customers. Yet a third of you haven’t changed supplier in the past five years. Among these, a quarter haven’t changed their tariff in that time either, meaning they are almost certain to be overpaying for energy. If you’re a customer of a Big Six energy firm, half of you haven’t switched in the past five years. But in a few days, millions of energy customers face another price rise when the price cap on standard tariffs and prepayment meter tariffs is raised. Customers on standard tariffs will see an extra 10% added to their bills. So we asked thousands of energy customers who had switched what motivated them to do it. We’ve revealed the three most common reasons below. If these are true of you, it’s definitely time to switch. Get started by comparing gas and electricity prices using our independent comparison service, Which? Switch, to see if you could save money on gas and electricity. A quarter of switchers said that too-high prices were one of their main reasons for changing supplier. The past year has seen some suppliers raise their prices more than once. Plus the price cap, which limits the prices that customers on standard or default energy tariffs can be charged, has had an impact. In January 2019, the price cap limited the bill of a household which uses a medium amount of gas and electricity to £1,137 per year. All of the Big Six suppliers had to cut their prices to meet this. However, from 1 April, the price cap will increase. So the same household can now be charged £1,254 per year for using the same amount of gas and electricity. 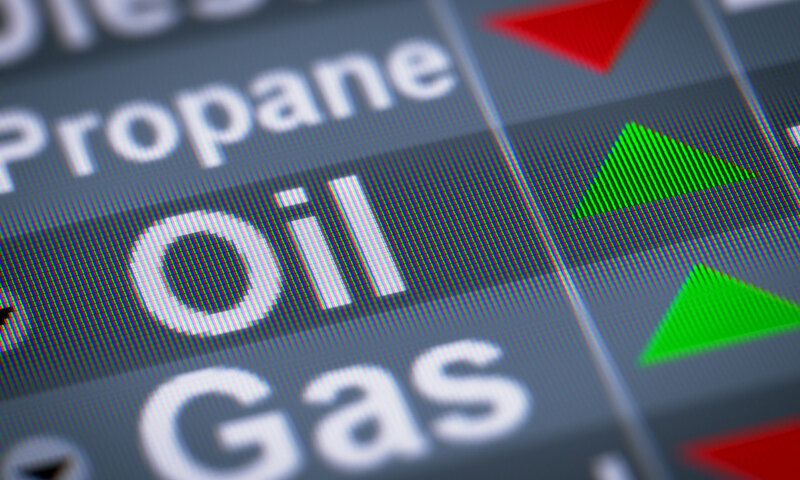 Three quarters of us are with the Big Six energy firms, all of which have announced that they will increase prices for customers on their standard or default tariffs up to the maximum permitted by the new cap level. 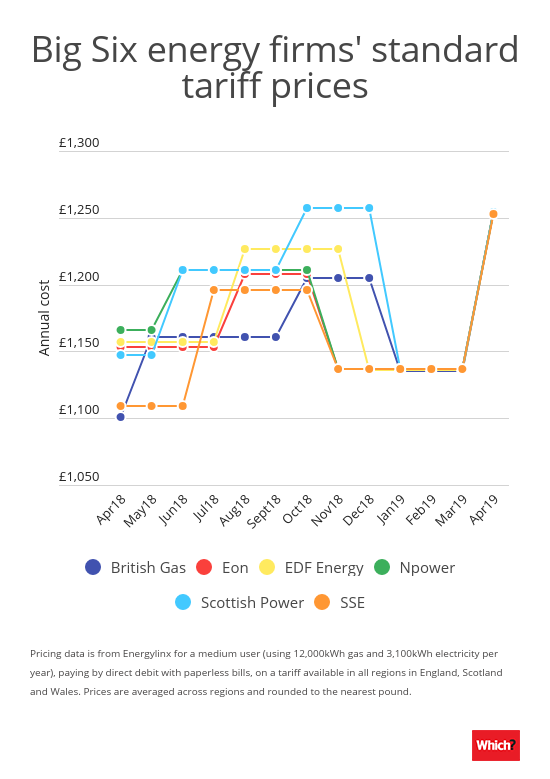 Over the past year, prices of the Big Six standard tariffs have fluctuated by £89 on average. If you’re on one of them, you’ll pay 10% (or £117) more per year from 1 April. But you could save £324 per year by switching to the cheapest deal on the market. The termination of a fixed deal was a major reason for 15% of people in our survey deciding to switch supplier. Fixed tariffs usually last for one or two years and fix the rates you pay for gas and electricity. Around 140 of them ended between January and March. When your fixed deal ends, you’ll be moved automatically onto your energy firm’s standard or default tariff if you don’t switch or choose a new tariff. These are usually more expensive than your old deal so it’s worth shopping around. There are fewer sub-£1,000-a-year tariffs on sale now compared with a year ago but shopping around can still prevent your bills from spiralling. Use a whole-of-market price comparison site such as Which? Switch, to make sure you get the best deal for you. Fixed deals aren’t automatically cheap and they’re not limited by the price cap. We found one costing £1,419 per year. One in 10 of those we surveyed said their supplier’s substandard customer service was an important motivator to switch. Our annual energy companies satisfaction survey revealed a great divide between the best and worst firms, according to their customers. 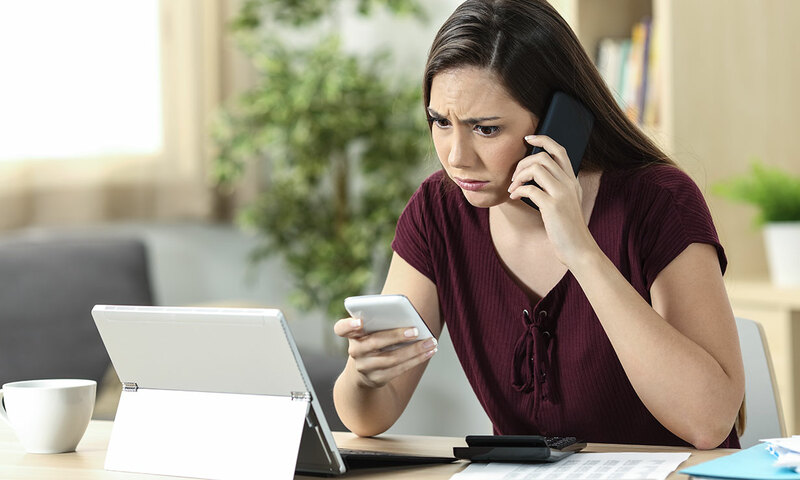 A third of lowest-scoring Solarplicity’s customers we surveyed said its customer service was terrible, while none said the same of top-scoring Octopus Energy. 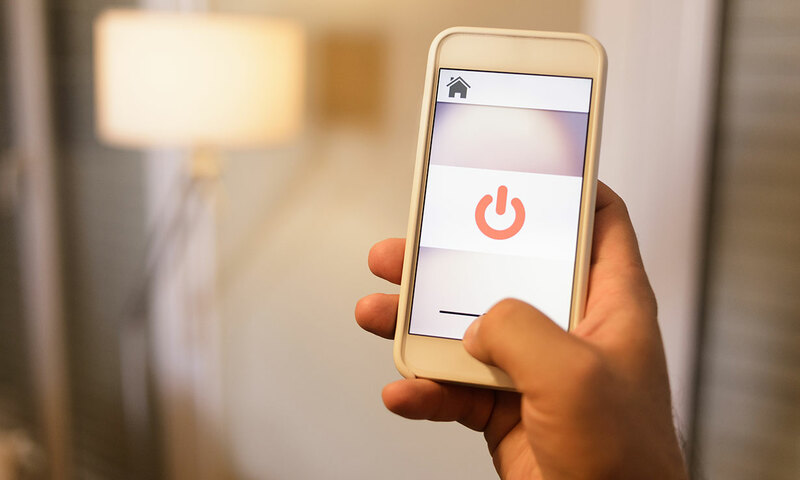 Solarplicity has since been banned by the regulator from taking on new customers for three months owing to its poor customer service and switching process. See the full list of the best and worst energy suppliers for 2019. We surveyed 7,429 members of the GB general public, and 450 members of the NI general public, online in September 2018 as part of our annual energy companies satisfaction survey. The three most common reasons for leaving your energy supplier were the same in Northern Ireland. Pricing data is from Energylinx for a medium user (using 12,000kWh gas and 3,100kWh electricity per year), paying by direct debit with paperless bills, on a tariff available in all regions in England, Scotland and Wales. Data is correct on 12 March 2019. Video: how does a smart meter work?